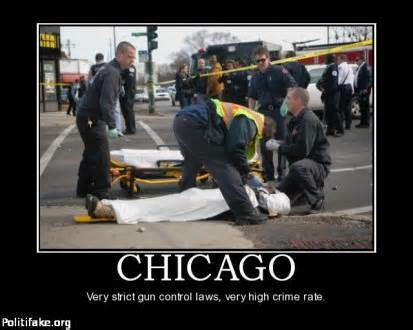 Why isn’t the #GunControlNow crowd marching in the streets of Chicago? From MyFoxChicago: Twenty-three people were shot between about 12:20 a.m. and about 10:50 p.m. Monday in shootings across the city, including ten people who were shot in two late-night attacks on the South Side. Between 10:45 p.m. and 10:50 p.m., one person was killed and nine were wounded in two shootings in the West Pullman and Bronzeville neighborhoods. The most recent fatal shooting happened about 10:50 p.m., after a shoot-out in West Pullman that left three others wounded, according to Chicago Police. A woman and two teens were walking outside when someone fired shots in the 12300 block of South Yale, police said. Witnesses told police that a 19-year-old man who was killed in the shooting fired the first shots from a gangway and an unknown person returned fire. The man, identified as Denzel V. Nelson, was struck in the face and chest and was pronounced dead at Christ Medical Center in Oak Lawn, police and the Cook County Medical Examiner’s Office said. He lived in West Pullman. A 13-year-old boy was shot in the arm and was taken to Comer’s Children’s Hospital where his condition was stabilized. Area South detectives were investigating the shooting. The other fatal shooting Monday happened in the Far South Side Eden Green neighborhood, police said. Derrick D. Golden, 46, was in a vehicle with a female passenger about 3 p.m. when she got into an argument with someone in the 13300 block of South Prairie, according to police and the medical examiner’s office. Shortly after, shots rang out and Golden was struck 5-7 times in his chest, police said. He was taken to University of Chicago Medical Center, where he died. Five minutes before the four were shot in West Pullman, six people were shot near Ellis Park in the Bronzeville neighborhood. The group was standing near the park when someone opened fire about 10:45 p.m. in the 3600 block of Vincennes, according to police. A 15-year-old boy was among those wounded. He was shot in the ankle and was taken to Mercy Hospital in good condition, police said. A 27-year-old man was shot in the leg and a 20-year-old man was shot in the hip and in both legs. Both of their conditions had stabilized at the University of Chicago Medical Center. A 24-year-old man and 22-year-old man were both shot in the ankle and taken to the same hospital where they were both in good condition, police said. A 19-year-old man was struck by four bullets. He was shot twice in the hip, once in the buttocks and once in the arm and was taken to North Western Medical Center where his condition was stabilized, police said. Area South detectives were investigating. Five minutes before that, a man was found shot in an alley in the West Side Austin neighborhood. About 10:40 p.m., officers found the 22-year-old suffering from a gunshot wound to the abdomen in the 1100 block of South Mayfield, according to preliminary information from police. The circumstances of the shooting weren’t immediately known. He was taken to Loyola University Medical Center in Maywood, where his condition stabilized, police said. On Sunday, 19 people were shot, two fatally.